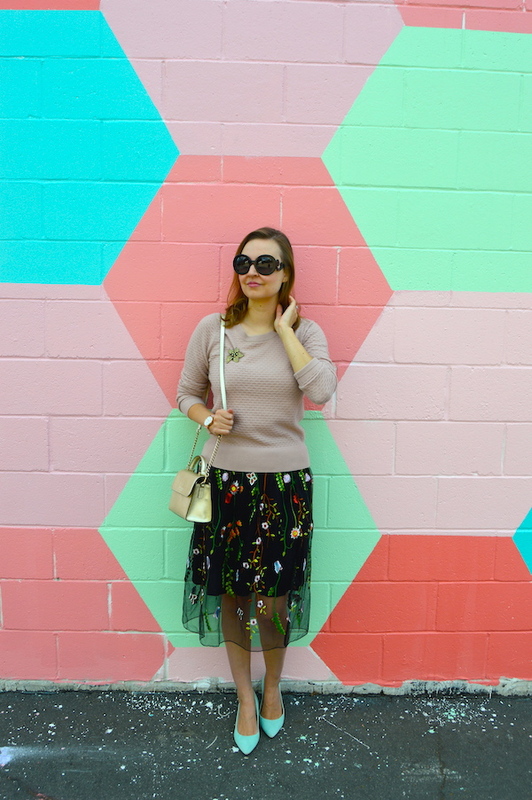 This floral mesh skirt from SheIn is very much like the one I bought from Anthropologie and wrote about here a couple months ago. Both skirts are similar insofar as they feature mesh overlay with bright colorful flowers. The big difference? The price, of course! 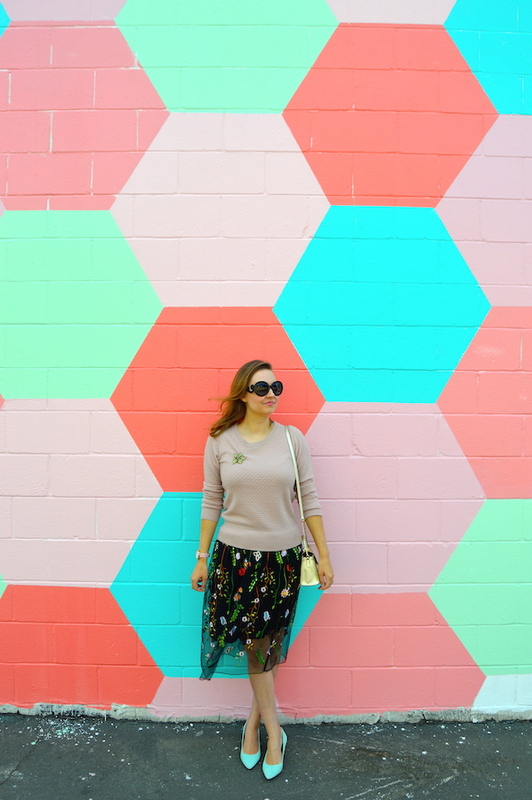 It's hard to believe, but the SheIn version of the skirt actually retails for under $15 whereas I paid $150 on sale for the Anthropologie version! 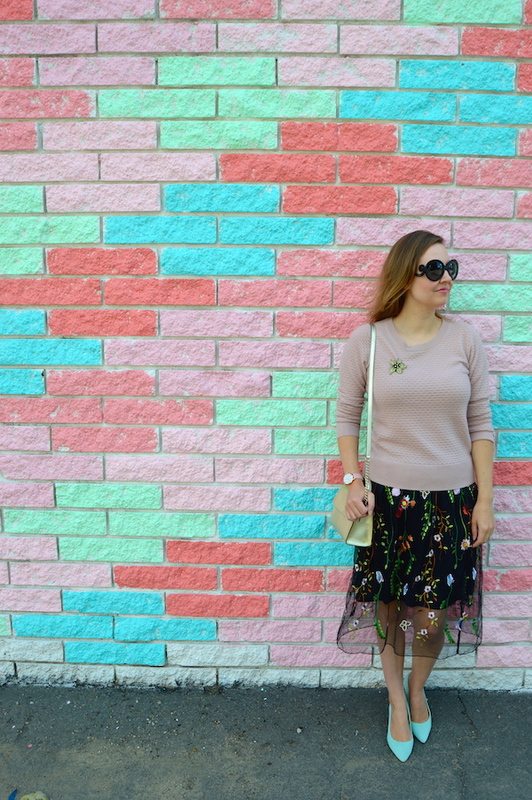 The skirt even had my husband fooled, if not a little miffed that I didn't just opt for the SheIn version to save money! Clearly, the under $15 price tag makes it a pretty sweet deal! 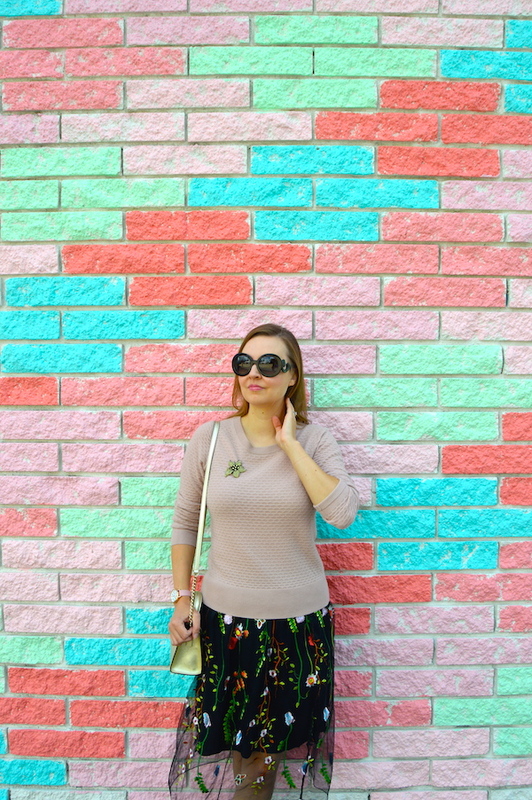 Speaking of sweet things, there's a new wall in town, which I spotted with the help of Instagram! 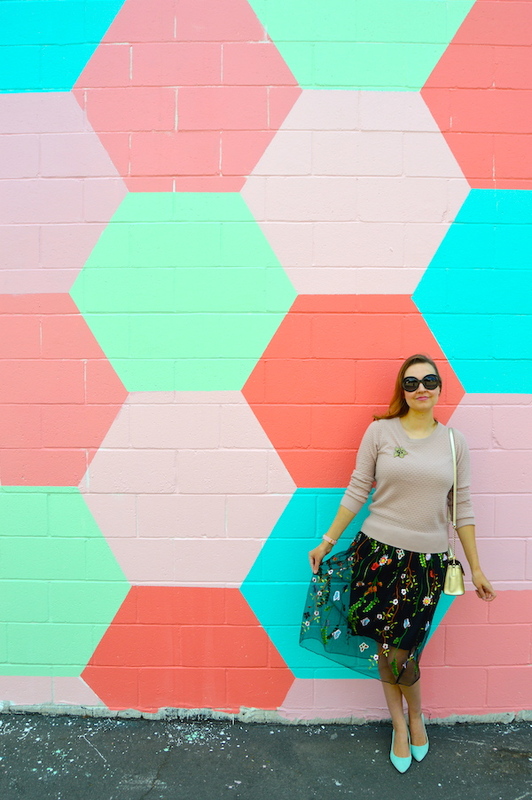 In Pasadena, the cupcake creator Dots is building a new cafe that features this lovely cotton candy colored brick and honeycomb patterned wall. They were actually still doing construction on the building when we dropped in, but that didn't stop me from checking it out! This is going to be not only a sweet spot to grab a cupcake (I wonder what else will be on the menu?) but also to take future photos! 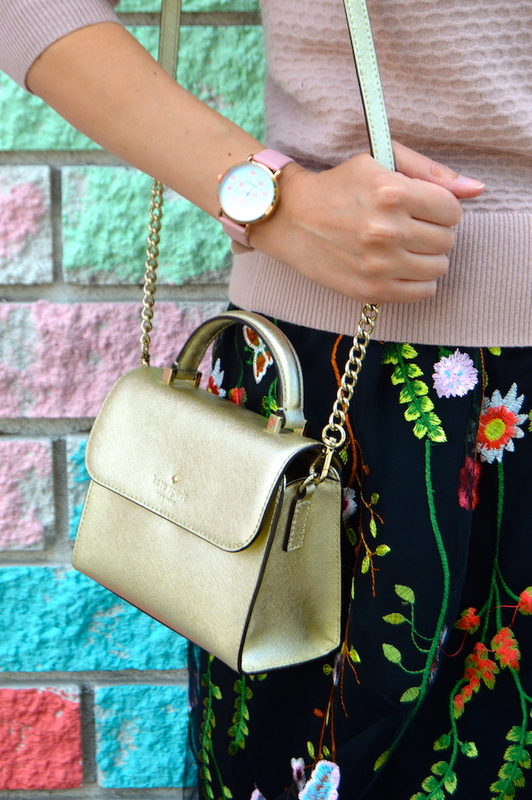 Well BOTH of these floral embroidered midi skirts are stunning but I love the Anthro's version more, though this one is beautiful and a steal too and I love the sweater and brooch you chose to pair it with. Also, what a gorgeous watch! Welcome by and join the linkup tomorrow, gorgeous lady! Love the embroidery detail on that skirt! And you styled it so perfectly with a clean simple sweater! That skirt is gorgeous. Love how you paired it with the sweater. Thanks for sharing on the link up over at A Pocketful of Polka Dots' Fabulous Friday. Beautiful outfit Katie! I love the bright shoes with the neutral sweater. Its so great as you can pair it with any color! i have an embroidered dress with a similar pattern.